The Spaniard deserves his place atop this list, not least for his nerves at the start, but his race pace was also the most impressive of anyone’s. Sainz was the only man who dared to try slicks at the start. He narrowly missed out on Q3 by six hundredths and perhaps felt the need to try something different to get the edge on his teammate and challenge for more than a point or two. It had looked a terrible decision as everyone powered past into turn one before he spun at turn two. But the track was always going to come to him. Sainz went from 18th on lap 1, with Stroll out and Palmer pitting, to seventh on lap 3 – showing how much of a benefit the free stop was. Alonso did get past just before the safety car but Sainz regained the place down the back straight, putting him in sixth after Bottas’ spin. The problem with Sainz’s strategy was that it did mean he was the only man forced to stop to use two dry compounds. His stop on lap 28 dropped him behind Alonso, but his tremendous pace meant that he had enough of a gap to come out ahead of Magnussen, the Force Indias and Hülkenberg. 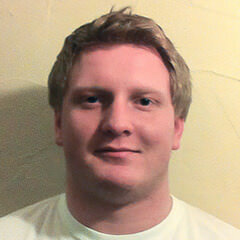 As he reeled in the ailing Alonso, best of the rest was on, and comfortably so. 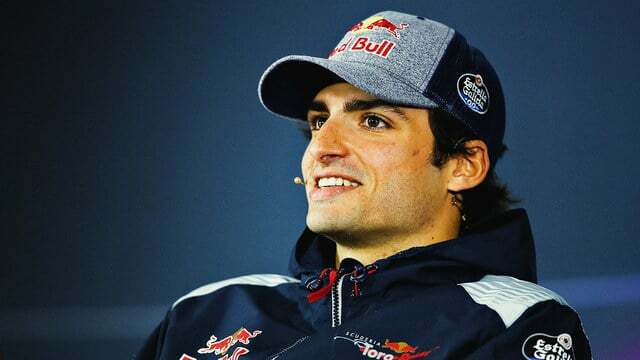 Bottas did get through but Sainz put his resume at the top of the pile for 2018 as he finished nearly 35 seconds ahead of the rest of the midfield runners. Surely his time mired in the F1 midfield is nearing its end. Alonso is probably doing the best driving of his career right now – and he wants you to know it. 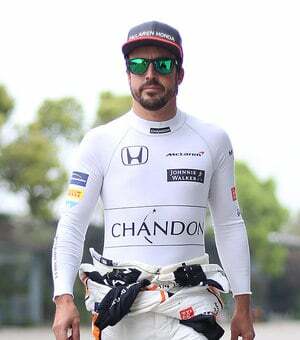 With McLaren tipped to struggle to make it past the back row of the grid, Alonso put in two stonking laps on Saturday, not only to make Q2 but to qualify in 13th, a great opportunity for Sunday. With a damp start, McLaren’s hopes were raised. Alonso weaved his way through the chaos to run eighth after a lap and suddenly points were on. His chances increased as he pitted for slicks early, moving up to fifth. It didn’t take long for Sainz to get past after the restart but somehow he held Pérez, Magnussen and Bottas off for the majority of the race as he hoped to finish seventh. Unfortunately the car let him down once again, just as Sainz got past him again, and he was left to retire with no reward for his efforts. The young Dutchman had such a great start to the race that it was easy to forget where he’d come from by the end. A misfire resulted in a nightmare Q1 exit in qualifying but that only motivated Max more. He had a great launch and even after being blocked at the start he made fantastic progress. Somehow he made nine places in the first half a lap before miraculously saving himself from spinning going onto the back straight. Suddenly, Verstappen was in the hunt with the main pack and his comfort in the low grip saw him sail past Kvyat, Bottas and Räikkönen before passing his teammate on lap 11. If he threw away second to Vettel with a simple mistake, his resolve to hold Ricciardo in the closing laps more than made up for it to secure an improbable podium. Second places this season may seem like finishing second in a two horse race for Vettel but in China that would only take into account the destination and not the journey. The only error the four time world champion made all weekend was into the final corner on his Q3 run, but with pole seemingly out of reach, his lap was just, and I mean just, good enough to pip Valtteri Bottas and start on the front row. In the race, Ferrari went aggressive. No one knew the exact cut-off time to move from inters to slicks due to the limited running all weekend, not to mention new wet weather tyres, so Ferrari took a gamble and tried to take advantage of the Virtual Safety Car, pitting while everyone else was crawling around the track. Unfortunately the plan backfired quickly as Giovinazzi fired into the pitwall at the end of lap three, blotting his copybook and screwing his employer’s strategy in the process. It left Vettel fifth for the restart, thanks in part to Bottas’ impromptu spin under the safety car, and with a lot of work to do. The German took an age to get past Räikkönen, eventually managing it on lap 20 as the Finn refused to make it easy for him. What followed was simply stunning. He chased down Ricciardo – who was clearly aware of how he got past Räikkönen – Ricciardo covered the inside into turn six but Vettel just kept going, pulling alongside and forcing his way around the outside. 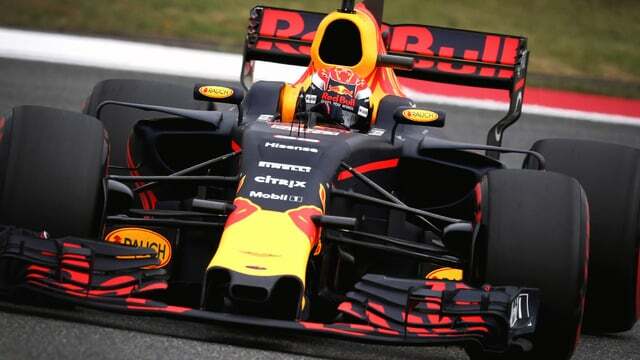 The watching fans waited to see what he had in store for Verstappen but he frightened the flying Dutchman into a mistake on lap 28 before he had to make another daring move. With Hamilton seemingly just out of sight, Vettel pitted for fresh rubber to protect second place and ensure he shared the championship lead, but he really had to work for it. After a scruffy debut for the American team, Magnussen put on a good show to prove that Romain Grosjean isn’t the number one driver at Haas. It’s tough to have a full comparison between the two drivers over the weekend given that, if anything could go wrong for Grosjean in China, it did. Magnussen proved that the Haas is right in the midfield battle, qualifying in 12th, just seven hundredths off a rare Q3 appearance. One of the few drivers not to change places on the first lap, the Dane made his race by being one of the first drivers to trust the slicks, pitting on lap 3. The stop dropped Magnussen to 13th briefly but he knew that the track would come to him. By lap eight, the move had seen him up to ninth and in with a great chance of scoring points. Magnussen held off Bottas behind with some good defensive driving until lap 18, dropping to tenth. Haas took another chance, deciding to make a second stop which allowed the Force Indias past but Magnussen was playing the long game, able to chase them back down on fresher rubber before passing Ocon on lap 39 and then Pérez on lap 48. 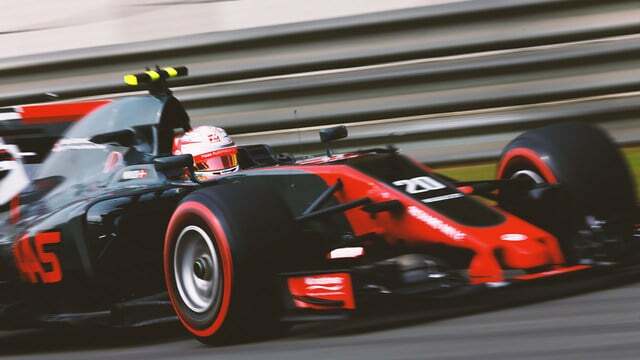 With Sainz 30 seconds up the road, tyre preservation was the only remaining goal as Magnussen delivered Haas’ first points of the season with a great tactical drive to beat quicker cars on merit.